What can you do if your husband refuses to lead your family spiritually? Now, obviously this is going to be an issue if your husband is unsaved. And, many women are raising their children by themselves and do not have a husband to look to for spiritual leadership. In these cases, the wife must assume this role herself. But, what about the wife who is married to a Christian man who is refusing to “step up”? Here’s the scenario: You have been convicted about the importance of family devotions. So you approach your husband. 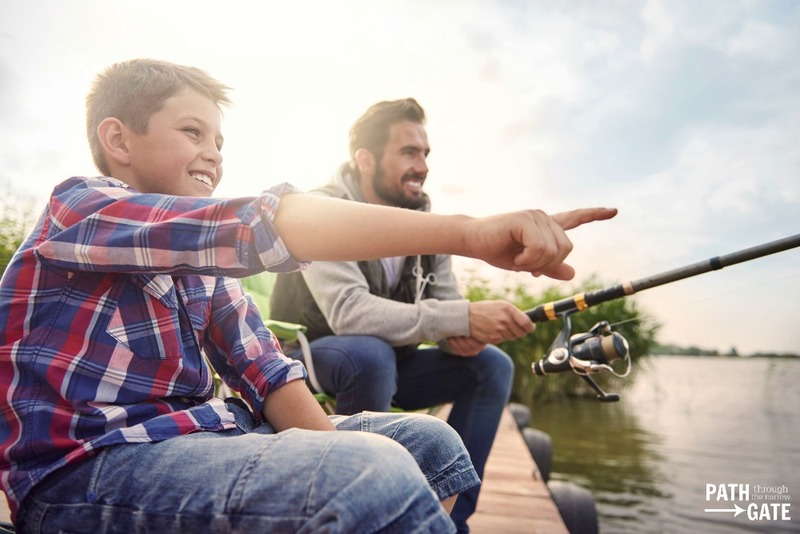 Since he’s a Christian, you’re sure that he will feel just as strongly about family devotions as you do. I mean, after all, you want to start teaching your kids God’s Word. How could he disagree? So, you approach him and ask him if he will start leading your family in devotions. And he brushes you off. Maybe he scoffs at the idea or uses a feeble excuse to explain why he can’t lead in family devotions. Maybe he agrees to lead family devotions – but never follows through. 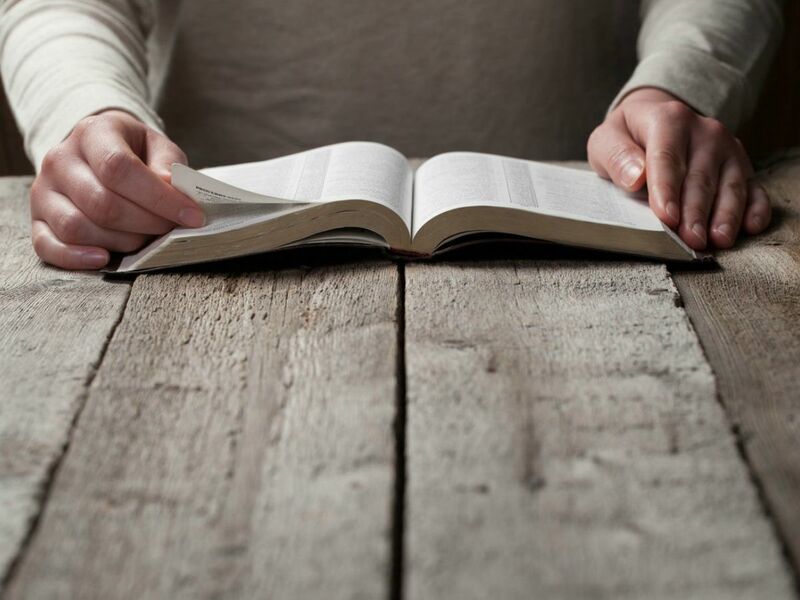 Maybe he agrees and reads from the devotional that you purchased, but does so in a completely begrudging way that clearly communicates to you and your kids that he doesn’t want to be doing this right now. Dear sister-in-Christ whose husband is refusing to be a spiritual leader in your home, I want you to know that you are not alone. Not only did this issue surface over and over again on a recent survey, I have also experienced these struggles in my own home. And I know how easy it is for us to become frustrated, bitter, and disillusioned with our husbands in this area. I also firmly believe that there is only one thing that Satan would prefer more than to see our husbands not leading our families spiritually – and that is to see our husbands not leading and us wives becoming bitter, angry, self-righteous, and resentful about it. 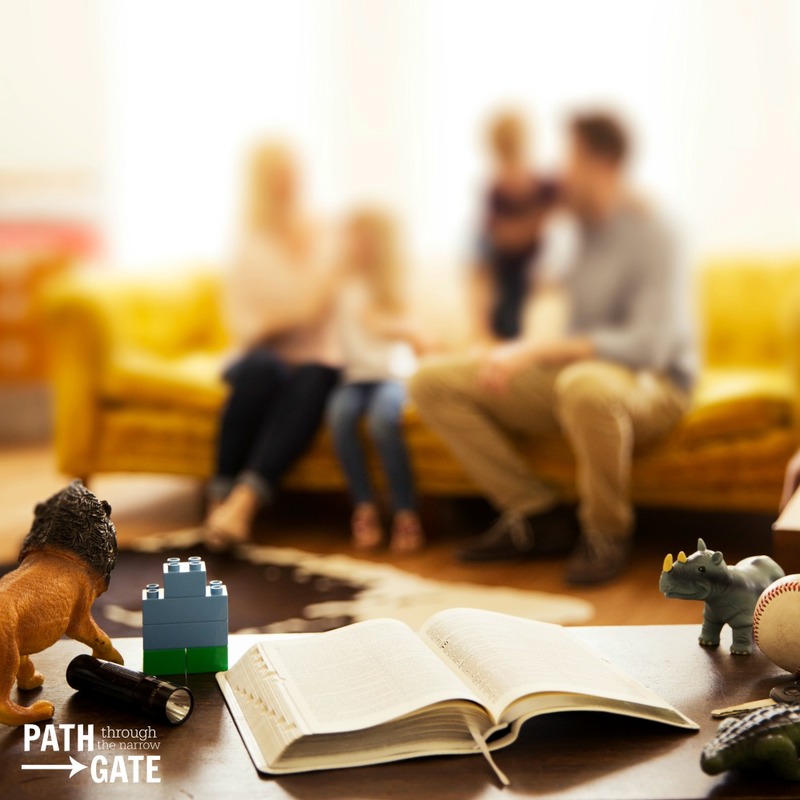 Satan would love to use something like family devotions as a starting block for tearing apart our marriages and families. Please don’t allow that to happen! Before you do anything else, bring this matter to God in prayer. God alone can change hearts. He can change your heart and He can change your husband’s heart. So, pray and ask God for wisdom and grace as you discuss this sensitive issue with your husband. Before you pass judgement on your husband, slow down and look for the ways that he IS being a spiritual leader in your home. Recognize that men teach children differently than women. Many men are not comfortable sitting on a couch and talking about the Bible. They just don’t operate that way as naturally as most women do. Most men are not going to spend thirty minutes online reading reviews in order to find the perfect toddler storybook Bible. Many men are not going to feel comfortable singing hymns with their kids. Men are much more likely to teach as they work and play. Is your husband talking to your son about spiritual things while they are running an errand to the hardware store? Is he discussing the pros and cons of life choices, and what the Bible has to say about them, as he jogs with your teenage daughter? Is he leading your family in prayer each evening before dinner? If so, he is being a spiritual leader in your home. Recognize this, and thank him for his faithfulness in teaching your kids God’s Word. What are your expectations of a “spiritual leader”? What do you wish your husband would do? Are your expectations realistic? For example, if you want him to come up with a 30 minute devotional each night after a long day at work, your expectations may be a bit too high. Put yourself in his shoes, and examine your expectations. Many times, our husbands don’t know what we are asking them to do when we ask them to “lead” in family devotions. And, when they don’t know what we want of them, they have a tendency to shut down. After you have defined your own expectations, bring them to your husband in a submissive and gentle way. Ask him if he would be interested in leading your family in devotions and explain to him exactly what you think that might look like. Ask him if that format or time is good for him – and be willing to change if it is not. Ask him if he would like you to find a devotional, and what his criteria for a good devotional is. Ask him if he would like you to choose a Bible passage each day so that he doesn’t have to do that in the evening. Be willing to help him in any way that you can. 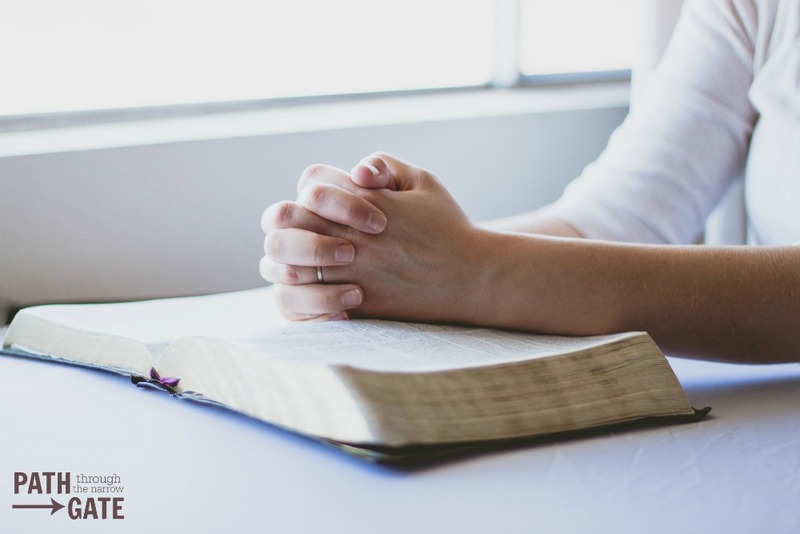 Recognize that, as you approach your husband with this request, he may already be feeling convicted about family devotions. And, if he is, he may hear your request as a verbalization of his failure in this area and may immediately go on the defensive. Be extremely sensitive and careful to approach him in a way that does not make him feel like a failure. If your husband is completely uninterested in family devotions, let it go. I know that this is difficult! I know that you feel that you are on the spiritual high ground here and that you need to press this issue for the good of your family. But, if you have gently approached your husband about this, if he knows that this is important to you, and yet he does not want to be involved in any way, let it go. I know, I KNOW, that you feel that family Bible study is important to your family. I couldn’t agree more! But, your husband doesn’t share your conviction at this point. And, dear sister, you cannot change his heart. At the end of the day, this is a heart issue between your husband and God. And, while you are affected by his decisions, you are not the mediator between him and God. So, let it go. Find a way that you can teach your kids about the Bible by yourself. 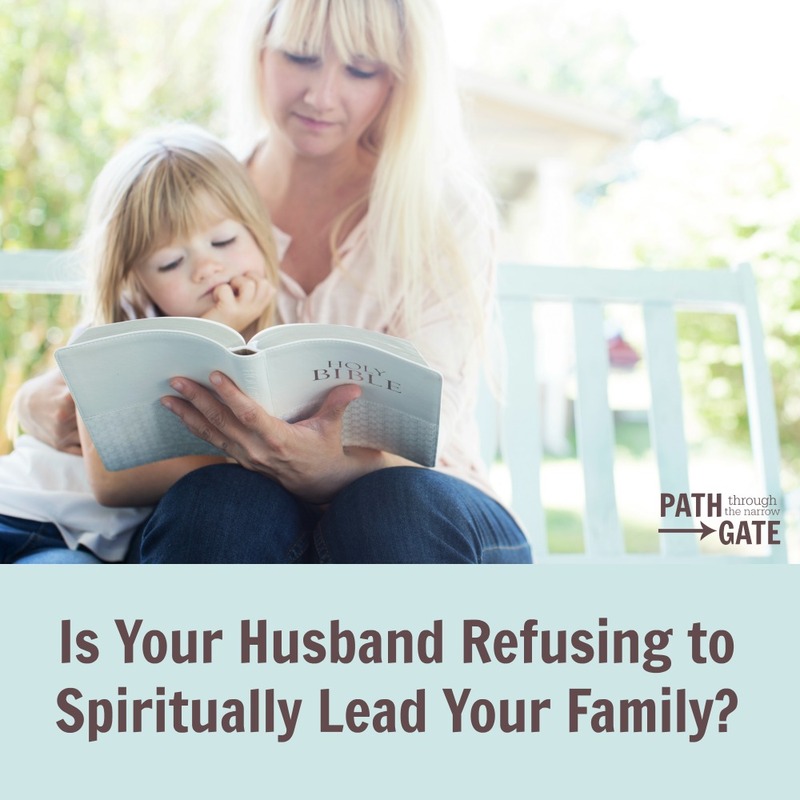 You DO NOT have the responsibility to force your husband into a “spiritual leadership” role. You DO have the responsibility to protect your own heart from anger, disappointment, and bitterness. If you find yourself becoming bitter toward your husband because he refuses to be involved, change your family devotions time to a time when your husband is not present. If your husband is refusing to be a spiritual leader in your family, you have only one recourse. But, it is the most powerful recourse in the universe. Bring your husband and your family before God in prayer. Pray that God would convict your husband and change his heart. Pray that God would protect you from anger, bitterness, and self-righteousness in your marriage relationship. Pray that God would give you a quiet, submissive heart that would refrain from nagging or rubbing in your husband’s faults. Pray that God would help you to see and focus on your husband’s strengths and accomplishments rather than his weaknesses and failures. Pray that God would work in your children’s hearts and help them to value the Bible and God above anything else in this world. Don’t underestimate the power of prayer! How about you? Have you struggled in this area? Do you have any thoughts, ideas, or questions? I would love to hear from you! Please scroll down to comment.